Hello! My name is Heather Mee, and I am a professional Graphic Designer and Photographer with over 20 years of experience. With the encouragement of my husband, www.wellsborowoodlands.com was developed as a creative portal for me as an artist. It's an online storefront for people who have a heart for Wellsboro, the Pa Grand Canyon and the surrounding woodlands. It is a way for others to access my postcards, canvas prints, souvenirs, greeting cards and woodland inspired items. 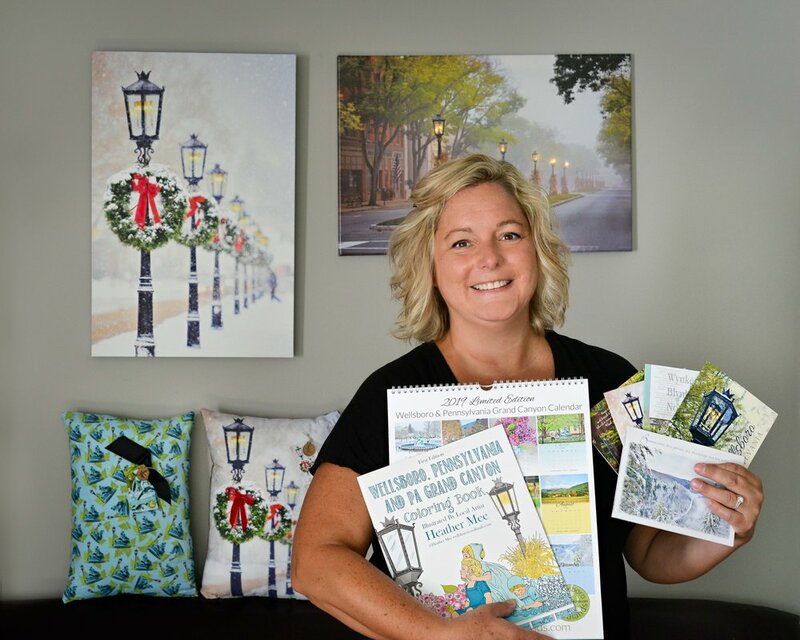 My postcards and other products are currently carried at the Wellsboro Diner, Tioga County Visitors Bureau, Leonard Harrison State Park, the Sherwood Motel, Penn Wells, Dunham's Department Store, Stoney Fork Country Store, The Fifth Season and more. Thank you from the bottom of my heart for supporting Wellsboro Woodlands. If there's something specific you are looking for, let me know! Please "Like" and Share WellsboroWoodlands.com and the Wellsboro Inn on the Green on Facebook to stay up to date on new items and events!